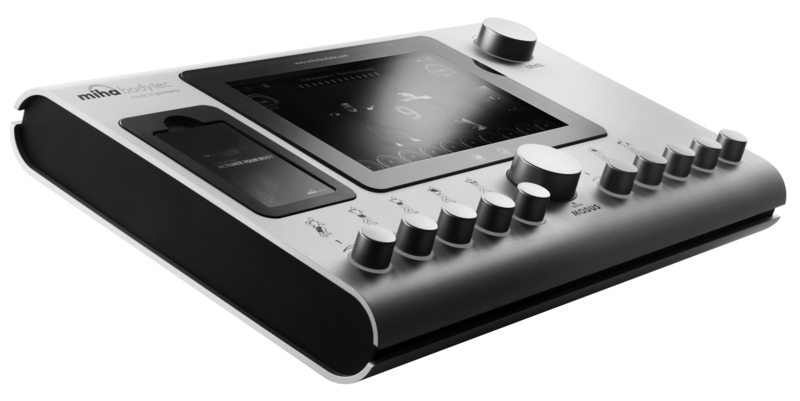 EMS stands for “Electro Muscular Stimulation”. From a technical point of view, it is a full body training exercise using impulse current. In everyday life our central nervous system constantly sends electrical impulses to control our muscle action. EMS uses this natural principle and is able to intensify this process to reach deeper muscle layers which are hard to activate through conventional training. 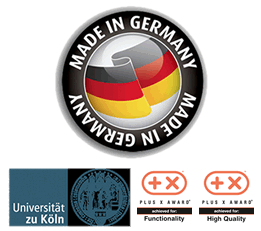 This is achieved by applying EMS electrodes to the skin directly above the muscle. All in all you can call EMS simply a selective intensification of electrical stimuli from the outside. You gain the best results if you work-out actively while using our EMS device. Muscles are additionally stimulated through the electrodes while doing a series of low-impact exercises. This combined training leads to an additional increase of tension producing highly effective training results. Your personal trainer can control each muscle group by adjusting the training intensity according to your individual goals. With EMS you achieve visible and tangible success in a very short time. The training is not painful or harmful to your body. Why Is EMS so effective? During EMS training, 92% of muscles are activated simultaneously with each contraction.The muscle contractions are stronger and more intense than a voluntary exertion can do alone. Compared to conventional weight training, deeper muscle groups are activated which leads to better intra and inter muscular coordination. Based on these scientifically proven facts you achieve highly effective results in a short period of time. Research has found that training with EMS is much more effective than conventional weight training at gym. The effectiveness of EMS is 18 times higher than a conventional weight training. 20 minutes per week is all it takes to a healthier, stronger you. 89% of people tested reduced their back pain. 75% showed improvement with incontinence problems, while 33% of those were cured of incontinence altogether. On average, 85% of people tested felt an improvement of their body shape and 90% ranked the EMS training method as positive. When it got discovered ? In 1902 a French researcher invented the first stimulation machine which he used successfully to treat muscle atrophy/paralysis. More research followed and 70 years later two Russian scientists, Kotz and Chwilon, proved the outstanding results of muscular stimulation on human beings. Their experiments showed a 30-40% increase of muscular strength with minimal physiological and mental efforts in a short period of time. Back then EMS training was mainly used in therapy for the treatment and rehabilitation of muscle atrophy and muscle imbalance and in professional sports to improve performance. 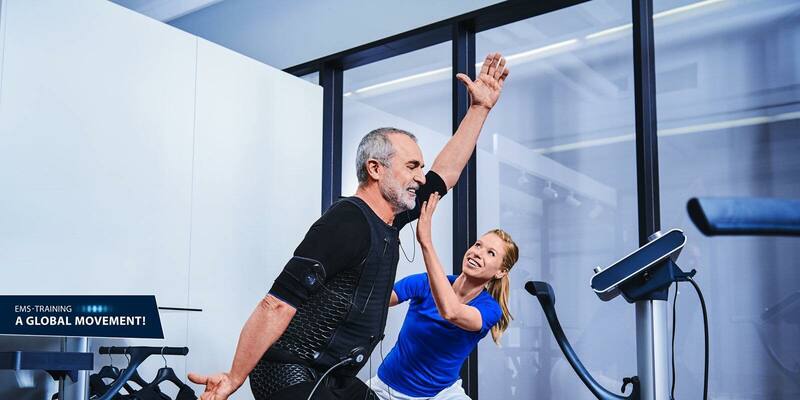 Training with electro muscular stimulation these days is a popular and proven training method which enjoys growing popularity all over the world. Please call us anytime at 0565578833 and we can explain all our prices and our offers, our prices and offers are always changing so we don’t want to mislead people in the future when they see the post!